Bryan has over 12 years of experience providing assurance, tax, and consulting services to closely held businesses and their owners. He also specializes in serving high net worth individual tax clients. 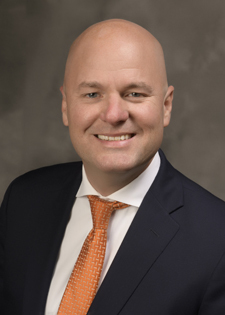 Before joining the SFW Partners, Bryan spent nine years at BKD, a national public accounting firm, serving their closely held family business clients in assurance and tax in the manufacturing, distribution, real estate, and construction industries. He also served as CFO of Royal Papers, a janitorial supply company in St. Louis and as the Director of Tax Strategies at Moneta Group, a financial advisory firm serving high net worth clients. Bryan is a 2004 graduate of Missouri State University, Springfield, with Bachelors of Science in Accounting and Marketing. He is currently a member of the American Institute of Certified Public Accountants and the Missouri Society of Certified Public Accountants. An active member of the community, Bryan previously served as the board of directors’ treasurer for Disabled Athletes Sports Association and on the finance board for St. Dominic Savio. He is a former Big Brother with the Big Brothers Big Sisters of Eastern Missouri.